Okambebe Combined School Flies the Proverbial Chicken Coop! 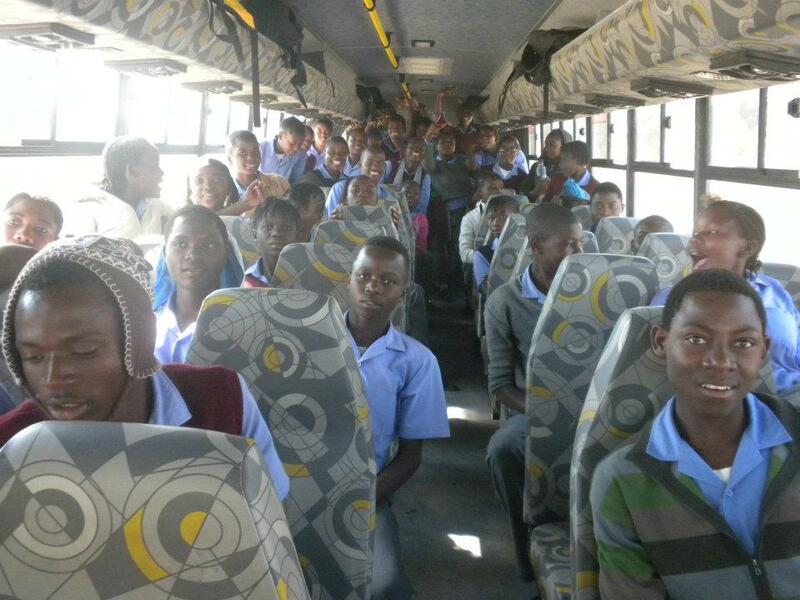 It has been over 10 years since Okambebe Combined School had their last field trip. 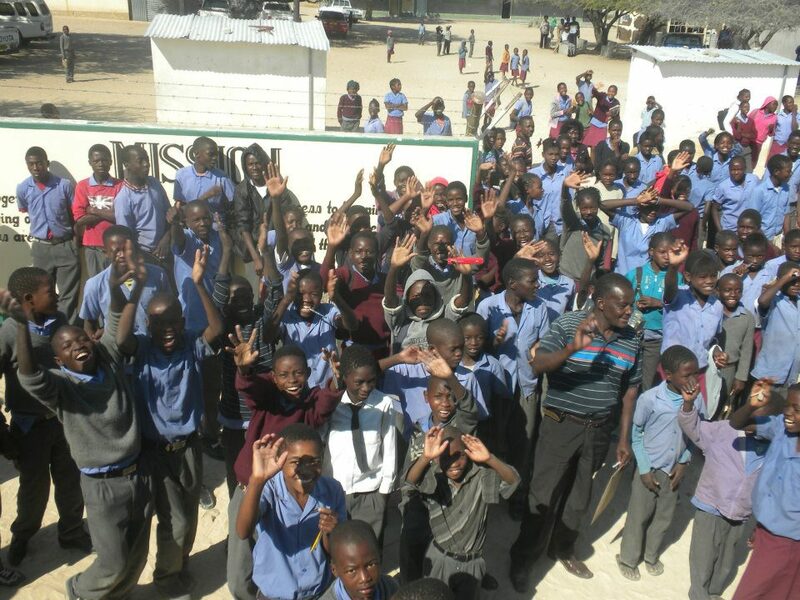 With the need for transport, food, and entrance fees, field trips can be extremely expensive for village schools to organize and attend. Planning for this particular field trip began in March and finally, in July, 53 learns and 4 teachers (including me!) were able to embark on the first science field trip of the decade! Take that Y2K. This past Friday, all of Okambebe Combined School was abuzz with excitement – grade 1 to grade 10 alike couldn’t wait for the 53 learners to go on their field trip! 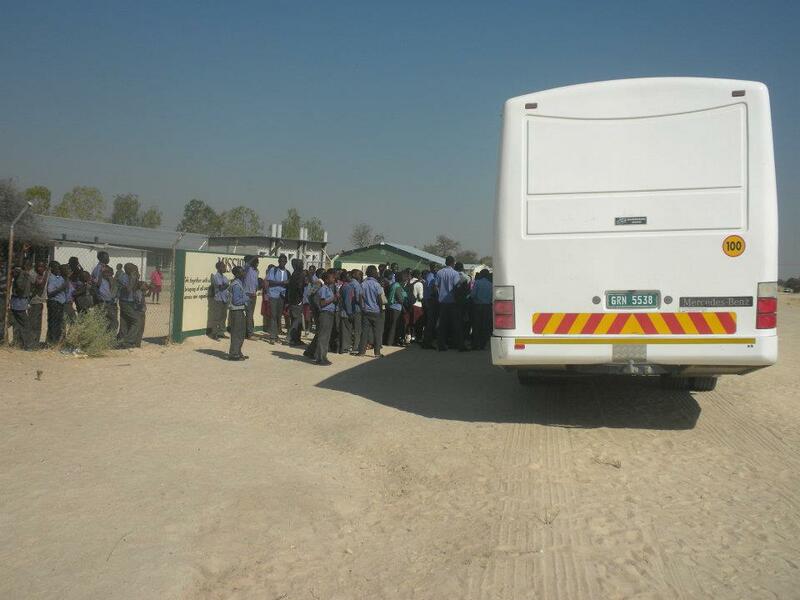 Our large Ministry of Education bus pulled up “on time”…aka 3 hours late, and about 400 students rushed to the school gates to observe. One of my favorite old meme teachers said she was writing a summary on the board, turned around, and her entire class was gone, all racing to the front gates to see the bus! As the kids piled on, learners started singing and chanting to bid goodbye to those going on the field trip. Finally, three months later and a few hours late, we were off! Grade 10 is VERY excited! Our massive bus, which the whole school came to inspect! 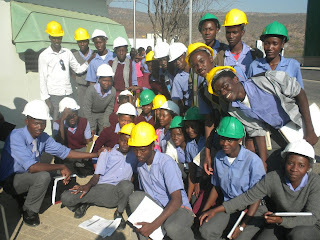 We arrived at NamPower Hydroelectric Plant and the bus erupted in excited chatter and applause. We were led to the information station, where we all put on hard hats and I, ever the Californian, had to take off my Rainbows and put on men’s size 10 steel toed boots to protect my little piggies from dangerous electric currents. 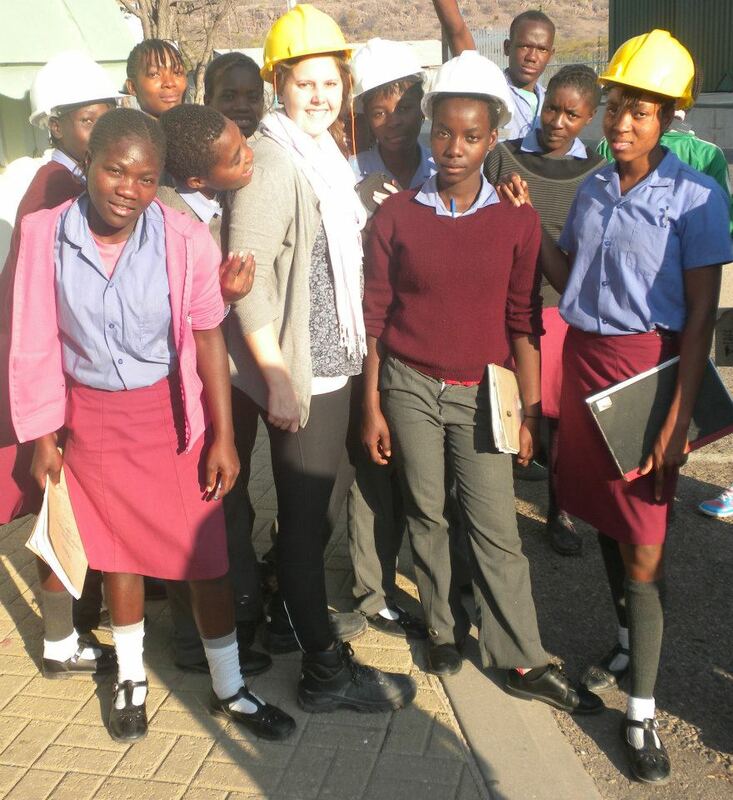 NamPower was located deep under Rucana Falls, and I almost tripped over my steel toed boots giggling as I watched my learners go underground for the first time. Some girls asked me if they would be able to breathe and others wondered how long it took to dig such a big hole. I explained the ins and outs of dynamite, (thank you to whatever teacher taught me how to blow up mountainsides!) and they all relaxed. The tour itself was in Oshikwanyama, so I spent most of the time bothering engineers to tell me what this and that button did. Don’t worry, I refrained from pressing the button that released all the water from the hydroelectric pools into the plant…. Everything's better with hard hats! Please notice the boots. Very large. Very sweaty. ”I lived life today.” Which is something I think we all forget to do sometimes. Love you all! I currently reside in Okambebe, a small town in northern Namibia. For the entire year of 2012, I will be serving as a volunteer teacher here with the international volunteer program WorldTeach (for more information please visit www.worldteach.org). 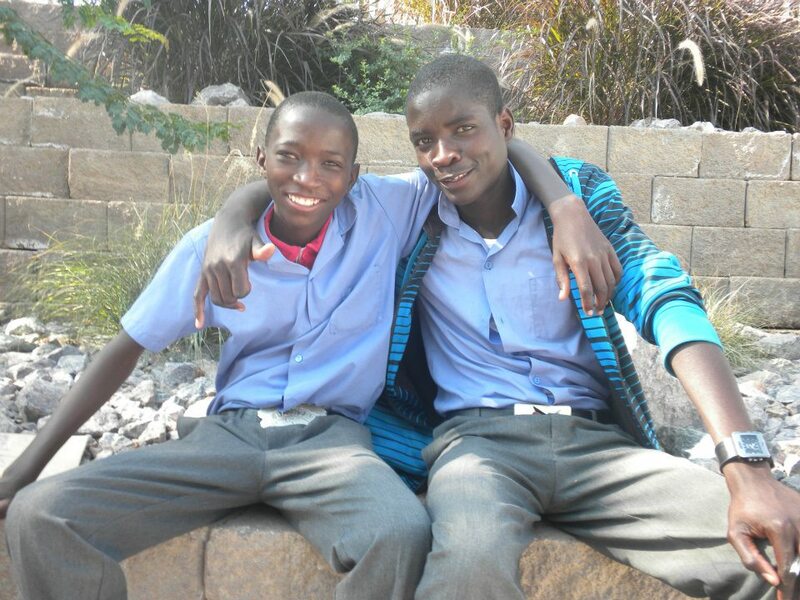 I am placed at Okabembe Combined School, where I will be teaching 5-8th grade math, English, and computers. I am so excited for this experience, and I can't wait for the adventures in my new classroom and beyond! The views and opinions on my blog do not reflect the beliefs of WorldTeach, but rather my own. How in the World Do I Contact You?